Monies raised through our fundraising events help build our Endowment Fund, the interest from which supports exhibitions and public programs at the Gordon Smith Gallery of Canadian Art, art enrichment programs for school-aged learners across the Lower Mainland, and scholarships for students pursuing a post-secondary education in the visual arts. TO PURCHASE TICKETS PLEASE CLICK ON THE IMAGE or CALL 604-998-8563. “1 Off the Wall” is an exclusive by-invitation-only cocktail function. 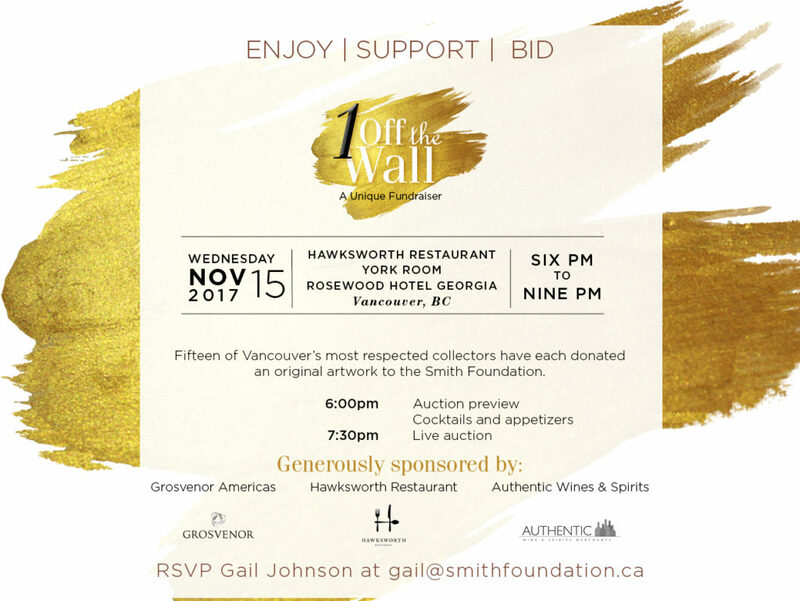 The evening centres on an auction of original artworks that have been donated to the Smith Foundation by some of the city’s most notable collectors. Works range in value from $5,000 to $25,000. A catalogue of works is published in October, and the event takes place in early November. 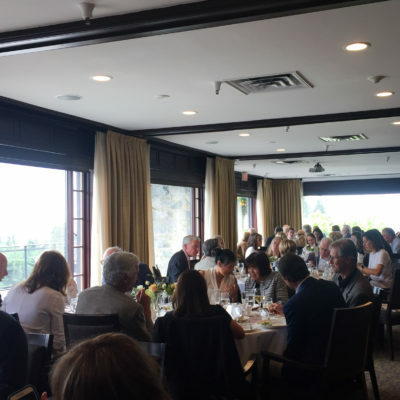 Our Annual Spring Luncheon and art auction, informally dubbed “Gordon’s lunch,” takes place at the Capilano Golf and Country Club in early June. 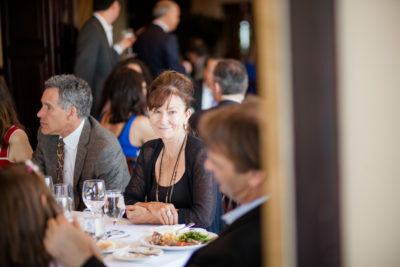 This yearly celebration of the visual arts raises vital funds through live and silent auctions. 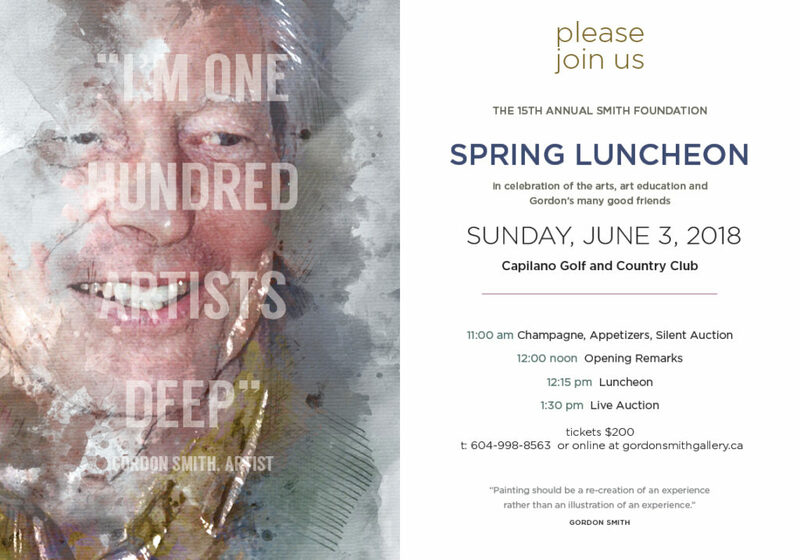 A cherished event, it captures the spirit of Gordon Smith’s dedication to art education.